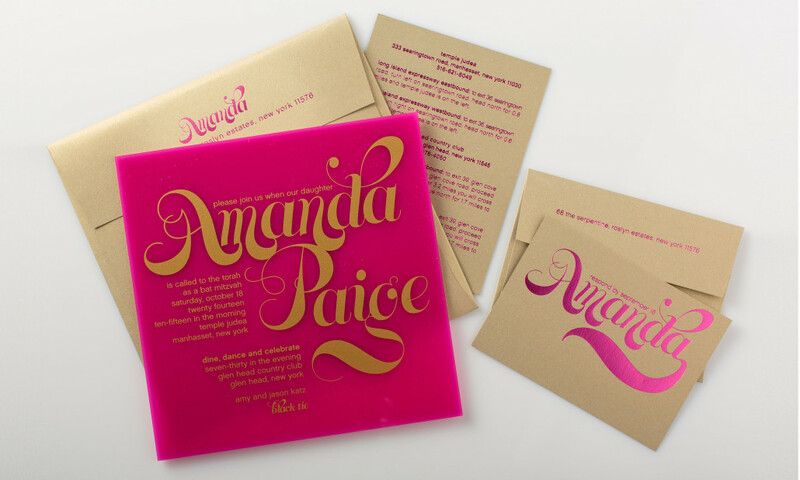 This chic set is printed in metallic gold ink on deep pink acrylic. 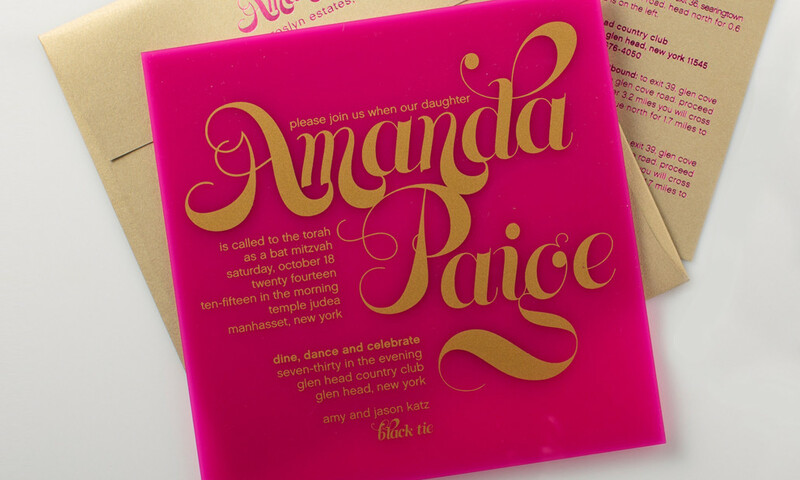 Coordinating insert cards and envelopes were created in the reverse colorway with magenta foil on gold, shimmer paper. Alternative acrylic and ink colors are available.